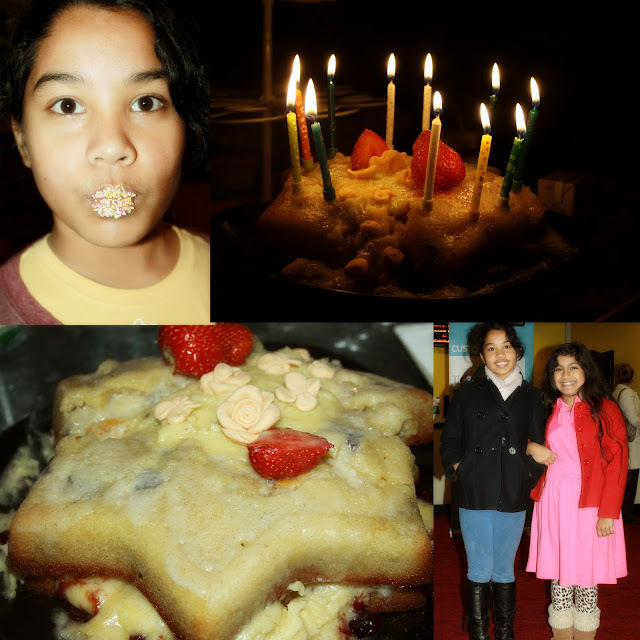 Here's few of the pics I put together for my daughter and her friend while at home busy and having fun baking and decorating her birthday cake. The cake contents with mango, banana and strawberries. It was delicious and so moist. I think both of K and S had the best of time baking it together. Should organised another time to invite her over or vice versa as they really get along well. Happy for my daughter for settling in so well at school and making friends. The picture in the right below was taken at the cinema while getting popcorn and other bits and pieces before going inside. I think this too girls are just adorable!